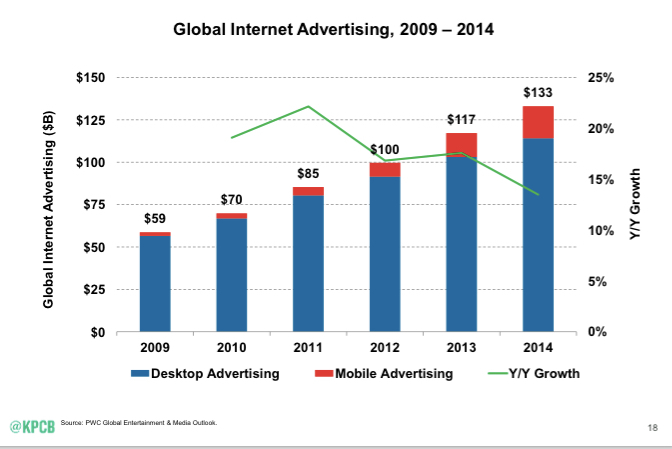 Stop Wasting Ad Money on Print … Move it to Mobile ASAP! 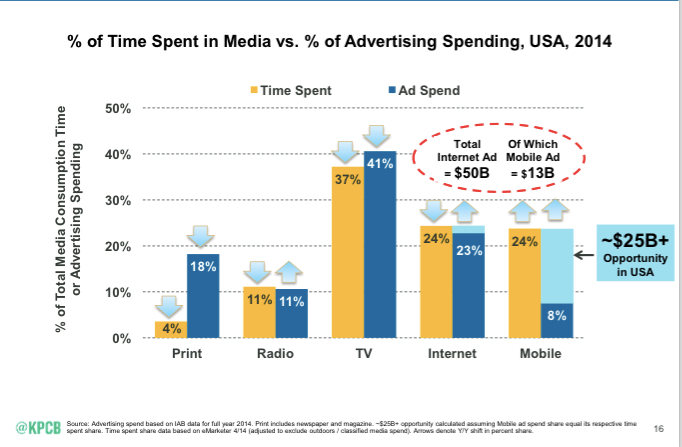 Consumers spend 4% of their time with print, yet brands spend 18% of their ad budgets there. 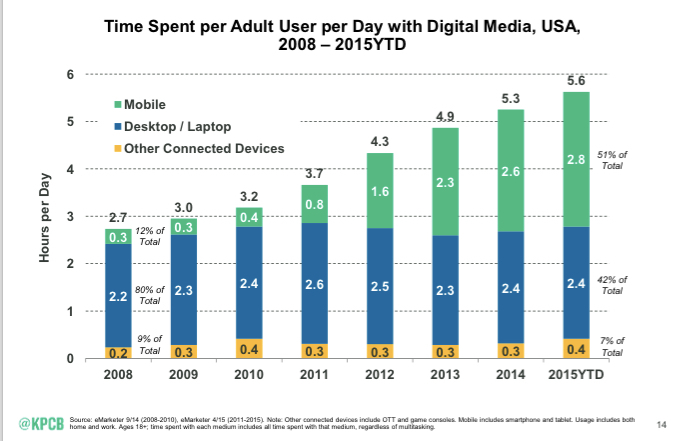 While Mobile time spent is up to 24% … brands allocate only 8% of their spend to it. Straight Up ⇒ Move Your Print Dollars to Mobile … Now! Zig is a Social/Mobile/Video specialist that drives brand engagement by creating interactive user experiences. We programmatically reach in-market buyers, at the lowest cost, and drive them to conversion. You can see our work by clicking on the link ⇒ http://www.zigmarketing.com. 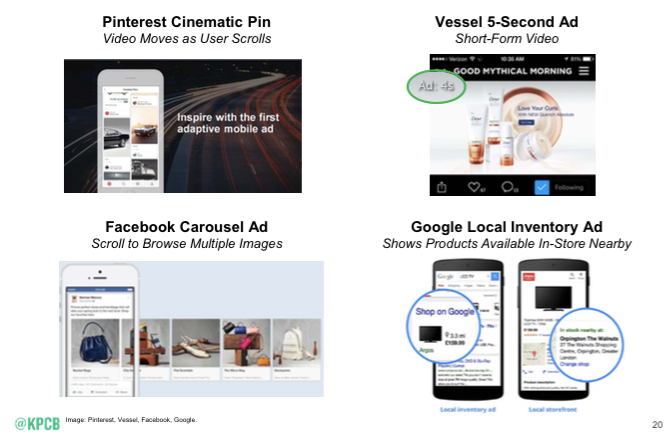 This entry was posted in Consumer Trends, Digital Marketing, Mobile and tagged advertising performance, digital first marketing, marketing ROI, mobile, social brand experience, video as TV. Bookmark the permalink. Certainly the reliance on print is down, but don’t discount it for highly vertical targets. In the B2B space, engineers in the industrial manufacturing area (who are generally older) are still reading trade print. It is shifting to digital, but not as quickly as other categories. So before abandoning print totally, you need to consider your target. So I hear you, but I have trouble with with the B2B argument that engineers and others who are highly technical and use digital throughout their lives … decide to stop doing that and revert back to print in their work. There is a good body of research that refutes this. Our own studies of B2B audiences, both technical and non-technical, points to Search being used daily, websites weekly and print a few times a month. This correlates with B2B circulation losses and magazine closings over the last 10 years. That said, I’m sure you there is still some value in print, but not sure its worth the high CPM. Opportunities now exist to buy B2B audiences directly through exchanges at 20% of the CPMS … and many end up on the same sites as a publisher direct buy. Yep, it is counter-intuitive, but we’ve found pockets of engineers who still like their print. Doesn’t mean that they don’t use digital. They do. Just not 100% (especially among the older segment of engineers or other manufacturing job titles). And interestingly, for search, they still use desktops (70-80% for several of our engineering clients) versus mobile or tablets. They still like their big screens. I can see that, especially among the older generation … still love print and desktop. I guess my reaction was to clients continually telling us since 2008 that B2B doesn’t use digital. But I’m buying what you are saying.